Size : 7.3 x 12.2 inches. / 18.6 x 30.9 cm. 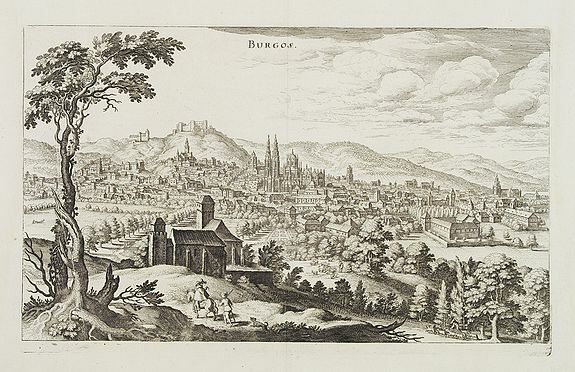 Description :A bird's-eye view of Burgos from Merian's "Theatrum Europaeum". Condition : Good impression. Good condition.